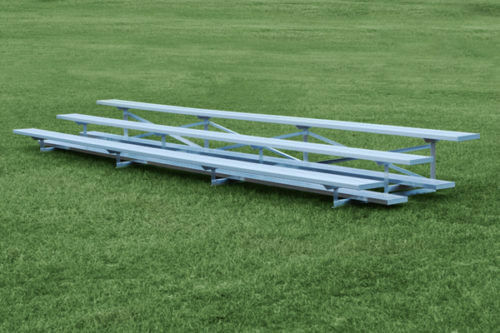 Sightlinesbleachers.com is a leading provider of 3-row and 4-row TSA portable aluminum bleachers in Kentucky. Choose from our wide range of 3- and 4-row TSA bleachers, ideal for outdoor and indoor sporting events, live productions, and other occasions requiring safe and reliable seating solutions. 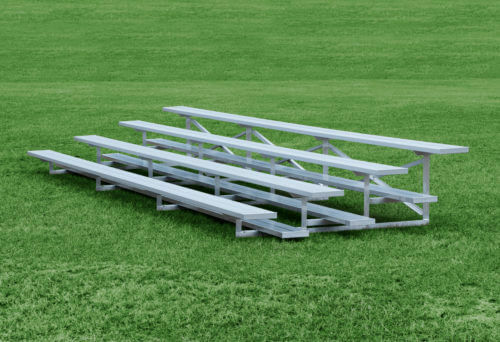 Our 3-row TSA portable aluminum bleachers provide a wide selection of seating capacities. From models designed to hold up to 15 people to those meant for a capacity of 54, we have it all. These TSA portable aluminum bleachers are fully IBC compliant with heavy duty welded aluminum tube & angle frame understructures. These smaller, more intimate models are perfect for reasonably small crowds and are set with pricing that goes easy on organization budgets. When there’s a call for more seating, our product line delivers. 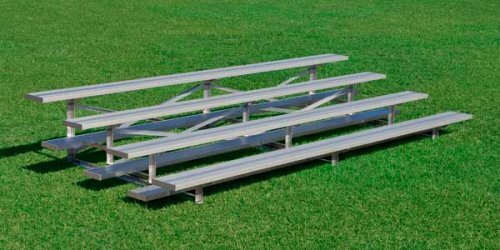 Our four-row TSA portable aluminum bleachers can hold between 20 and 72 people, depending on the model selected. Our rugged aluminum designs are perfect for all kinds of weather and provide the durability you need to ensure years of use. Our vertical square tube structural members are stronger than any aluminum bleachers from our competitors. We build our aluminum bleacher square tubes from minimum 2”x 2” heavy wall 6063-T6 aluminum. Get in touch with our team at SightlinesBleachers.com to learn more about 3-Row and 4-Row TSA portable aluminum bleachers.